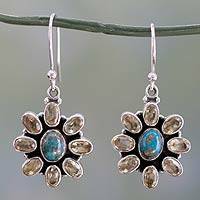 Turquoise centers florid stars in the fascinating design of these earrings. 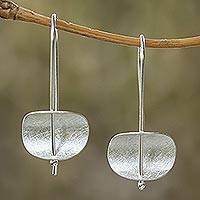 By Guillermo Arregui, the sterling silver earrings evidence subtle Aztec stylizations. 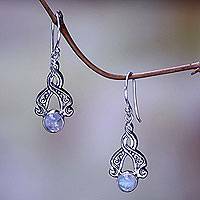 Rainbow moonstone glows in argent teardrops from Neeru Goel. 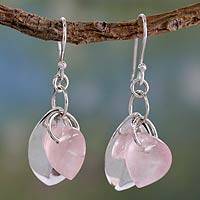 These exquisite earrings perfectly combine the gemstone with sterling silver. Always innovative, Nyoman Sukartini brings her fashion savvy to minimalist earrings. She presents sterling silver rectangles as earrings of polished beauty.